Our Audi A6 allroad is a great option for smaller groups of up to three people who would like that little bit extra or who prefer to travel in a car. 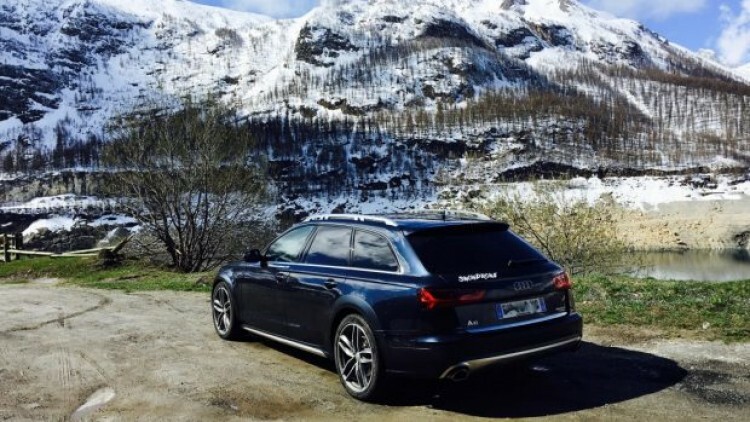 The Audi has Quattro all wheel drive and is equipped with winter tyres to tackle any conditions. It has a large luggage capacity and can be equipped with a roof box if you are travelling with skis. The Audi has seating for up to 4 passengers, with heated leather seats and individual climate control. The front seat passenger can also enjoy a seat equipped with massage functionality. Each person has the use of an individual iPad packed with films and Bose noise cancelling headphones. The vehicle is equipped with wifi, USB charging points and cables, along with chilled bottle water and neck pillows. There is a Bose equipped sound system with Spotify for those that are happy to sit back and relax while listening to your favourite music, podcast, audiobook or a playlist from your driver.